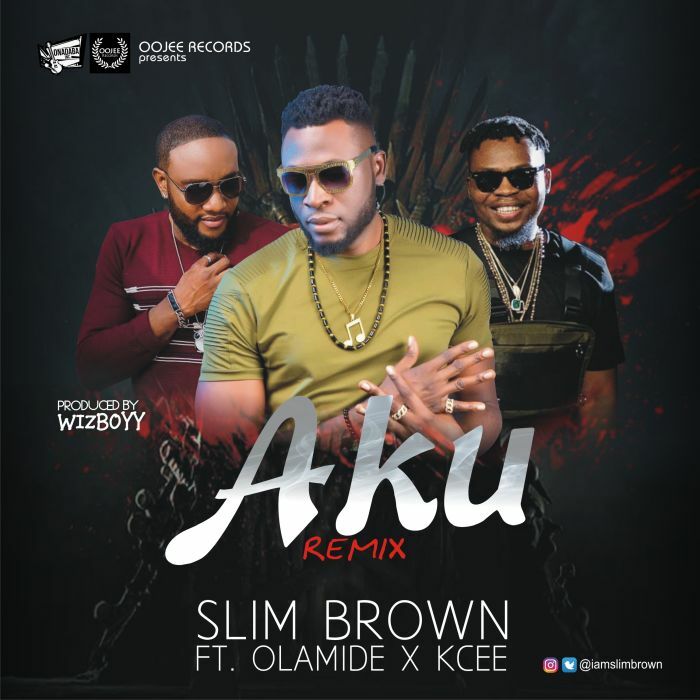 Download Music Mp3 titled ''Aku'' By Slim Brown featuring YBNL boss, #Olamide and #Kcee of five Star music. The music Mp3 was produced by Wizboyy. Click the below link to download and listen to Aku Remix. Now you know what to expect, a whole new level to the beautiful song originally performed by Slim Brown featuring Zoro. Aku Remix is produced by Wizboyy and released under the OOJEE Records imprint.